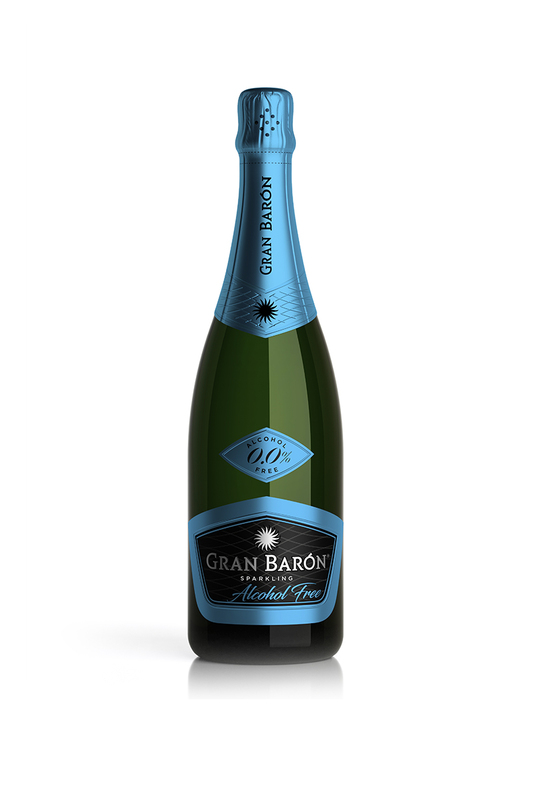 An alcohol-free Gran Barón for drinking at any time or with a meal. A smooth and pleasant product with an impressive structure. Pale yellow with light reflections. Notes of white fruit such as pear or apple, ripening through the aromas of banana to finish with more tropical and exotic aromas such as pineapple or mango. Soft and pleasant attack, with an impressive structure on the palate. Followed by tropical aromas that leave a fine aftertaste, delicate and with long-lasting flavour. Recommended for drinking on its own at any time, or with meat, fish or paella. Serve between 5 and 6°C.